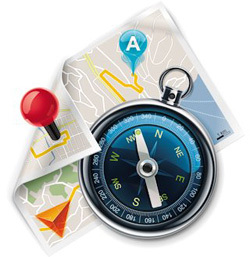 Local Search - Sagemont Inc.
To generate traffic you need to maximize your exposure in local directories and online map sites including Google Places, Yahoo Local, Bing Local, Yelp and more. Many of these sites are also emerging as the primary source of local business information on mobile devices. In fact, iPhone and Android app phones are pre-loaded with Google Maps which pulls local business information from Google Places. Sagemont knows how to secure your position in these directories. Many of the tactics are similar to those used in SEO services but there are some distinct differences. Your Business Profile – We create a complete and compelling profile on the local directory site. Your profile will include your important keywords to maximize your rankings on those keyword. We’ll take care of writing the content and working with the business owner to verify the listing. Customer Reviews – Your customer reviews are an important factor in presence of your business. We’ll setup our My Customer Review feature to proactively request reviews of your business. We can request reviews daily, weekly or monthly. Citations – We will work to build citations or online references to your business on other directory sites. Citations are similar to links except that they often are built by mention of phone number, business name and address. Clicks – When a customer clicks on your ad, we take them to the page on your site that has the information that best matches their search. Tracking – Sagemont tracks the placement of your local profile in the search results and continues to make adjustments, build citations and request reviews.